“the law of the good neighbor” – A group exhibition aided by the algorithm ‘Dissociations’ programmed by artist Harm van den Dorpel. For Neumeister Bar-Am’s booth at ART-O-RAMA 2015 the gallery presents a group exhibition of their artists aided by an algorithm programmed by artist Harm van den Dorpel. 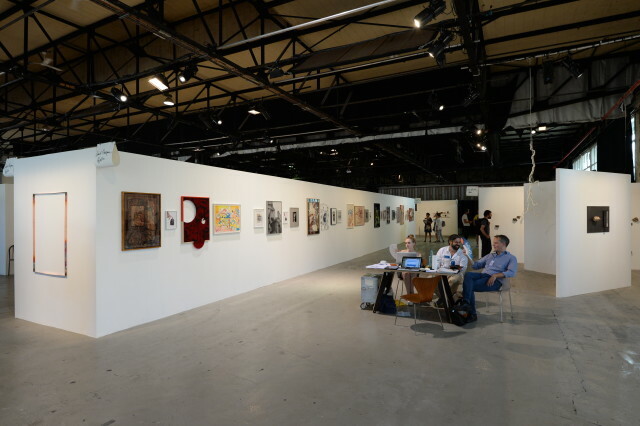 A 20 meter long wall displays a selection of works according to the algorithm including the works of the galleries artists.